The purpose of this course is to provide practicing engineers, architects and other building design professionals with the principles of timber design for buildings. Greater awareness of the potential benefits of engineered timber as a structural material for the design of multi-storey buildings is increasingly leading to client interest in a ‘timber’ building option. However, the technical education and professional experience of designers typically focuses on concrete and steel, providing little or no grounding in either the fundamental principles of timber design or its practical application to a contemporary building context. This introduction to timber design provides a starting point for designers looking to fill this increasingly relevant gap in their professional development. The course will be led by Institution of Structural Engineers Supreme Award-winning timber engineer Professor Richard Harris and Director of the Centre for Disaster Resilience at the University of Maryland, Professor Jose Torero; in conjunction with The University of Queensland’s School of Civil Engineering. Interested professionals can register their interest today! To adopt an informed and thoughtful approach to the consideration of fire in multi-storey timber buildings. To be able to situate the current state of the art in the context of current research and development and future trends. Practicing engineers, architects and other building design professionals with an interest in developing a basic understanding of timber design. Though this is an introductory course in the sense that no prior knowledge of timber design is required, the broader international perspectives of Professors Harris and Torero, and insights into current research and trends, are likely to also be of interest to practitioners who already have some experience of timber design. There are no formal prerequisites for this course. However, general professional knowledge and experience of building design is assumed. The course will cover a range of key topics including: timber in a global context; timber as a material; fire design of timber; structural design of timber; design for timber construction; and current research and future trends. Participants completing the course will be awarded a certificate stating participation and successful completion of the CPD course. 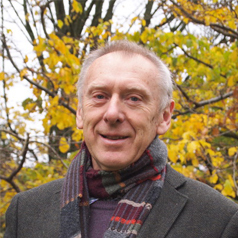 In January 2016, Richard Harris retired from his role as Professor of Timber Engineering at in the Department of Architecture and Civil Engineering at the University of Bath. He continues working with the academics at the University, particularly within the BRE Centre for Innovative Materials, as well as providing consulting, teaching and research through Time for Timber Ltd. He is a chartered engineer and Fellow of the Institution of Structural Engineers, the Institution of Civil Engineers and the Institution of Materials, Minerals and Mining. His specialist area of work is Timber Engineering, particularly in relation to the design and construction of timber structures. Between 2011 and 2015, Richard chaired the European network COST Action FP1004, which brought together researchers from institutions in twenty-six European countries as well as Canada, Australia and New Zealand. Before joining the University of Bath in 2009, Richard was a Technical Director with Buro Happold Consulting Engineers. In his twenty-five years with Buro Happold he led structural engineering design teams, working on a range of structures in differing sectors and using differing construction methods and materials. The Institution of Structural Engineers Supreme Award 2007 (for the Savill Building). Since 2014, Richard has been a member of the Project Group drafting a new part for the Eurocode 5 (Timber Structures), which will be a technical standard for the design of timber/concrete composite structures. Professor José L. Torero holds the John L. Bryan Chair and is the Director of the Center for Disaster Resilience at the Clark School of Engineering, University of Maryland. He works in the field of Fire Safety Engineering where he specializes in the behaviour of fire in complex environments such as forests, tall buildings, novel architectures, tunnels, aircraft and spacecraft. He holds a BSc for the Pontificia Universidad Católica del Perú (1989), and an MSc (1991) and PhD (1992) from the University of California, Berkeley. He received a Doctor Honoris Causa by Ghent University (Belgium) in 2016. José is a Chartered Engineer (UK), a Registered Professional Engineer in Queensland, a fellow of the Australian Academy of Technological Sciences and Engineering, the Royal Academy of Engineering (UK), the Royal Society of Edinburgh (UK), the Queensland Academy of Arts and Sciences, the Institution of Civil Engineers (UK), the Institution of Fire Engineers (UK) and the Society of Fire Protection Engineers (USA). 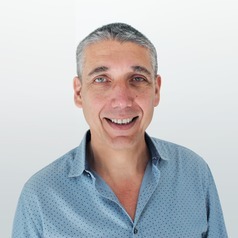 José joined The University of Maryland in 2017 following appointments as Professor of Civil Engineering and Head of the School of Civil Engineering at the University of Queensland, Australia, the Landolt & Cia Chair in Innovation for a Sustainable Future at Ecole Polytechnique Fédéral de Lausanne, BRE Trust/RAEng Professor of Fire Safety Engineering at The University of Edinburgh, Associate Professor at the University of Maryland and Charge de Recherche at the French National Centre for Scientific Research. A Certificate of Attendance will be provided on completion of the course. Interested professionals must register and complete an Eventbrite application no later than January 12th, 2018. Registration does not require payment. The University of Queensland will review all applications and issue enrolment invitations by January 12th, 2018. Accepted applicants will have until January 17th, 2018 to complete payment. Additional payment details will be provided with enrolment invitations.